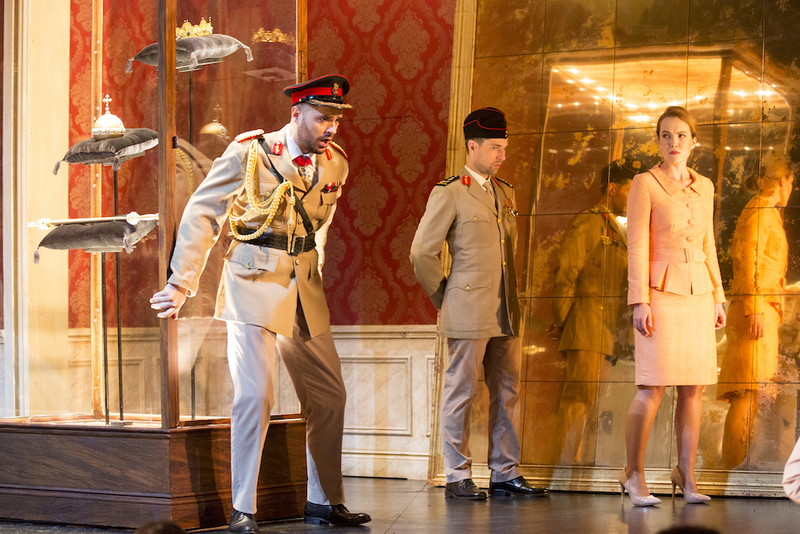 Pinchgut’s latest production boasts two major selling points. The first is star American mezzo and early music specialist Vivica Genaux. The second is the intriguing excavation of an opera by long neglected German master Johann Adolph Hasse. Throw in the ever excellent Erin Helyard and the Orchestra of the Antipodes, plus a cast up to the challenges of Hasse’s florid writing and you’re on to a winner. The only thing keeping this night at the opera from taking off is a standoffish production that makes a trickily static work feel far more lethargic than it ought to. Hasse’s Artaserse, based on Metastasio’s much adapted libretto, is confusing to recount but somehow easy enough to grasp in the theatre. It begins when King Xerxes of Persia exiles our leading man, commoner Arbace, for having the temerity to court his daughter, Mandane. Arbace’s father, a power hungry Artabano, is having none of that – he assassinates the king and convinces his heir, Artaserse, that his brother Darius is responsible. Darius is promptly executed, whereupon Arbace is discovered with the murder weapon that Artabano had given him to conceal. Much of the conflict thus pivots on the question of Arbace’s guilt, with Mandane torn between loyalty to family and her beloved, and Artabano’s growing remorse at his own actions (which includes publicly calling for his son’s death). There’s also a subplot wherein Arbace’s sister, Semira, is promised by Artabano to token baroque baddie Megabise, ensuring his loyalty in all the messy court machinations to come. 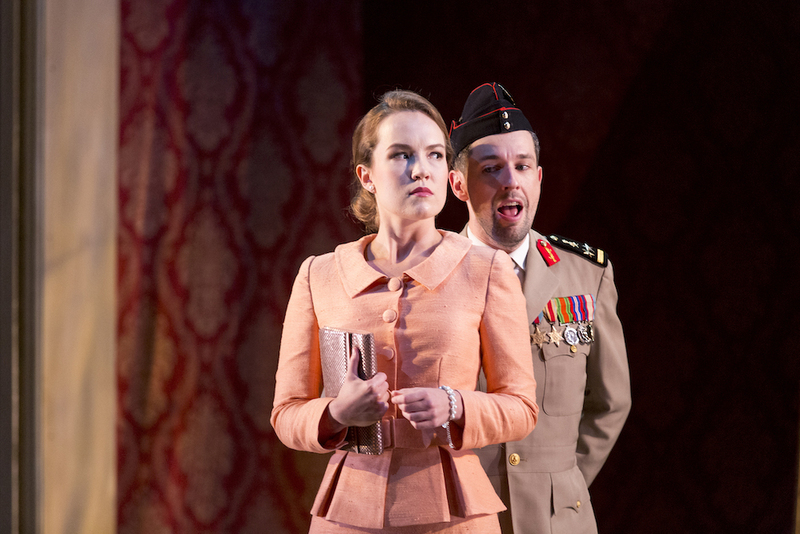 Set up as an obvious counterpoint to the conflicted Mandane, she remains staunchly supportive of her brother despite being in a relationship with Artaserse – obviously old King Xerxes didn’t mind his son dating a commoner. The opera is here performed in its second, 1740 Dresden version, and remarkably it’s the very first time that it’s been either recorded, performed or staged since its premiere. Big kudos to Pinchgut then, as well as the strong ensemble of singers it’s gathered for the venture. Musical values are high, so it’s a shame that such promising elements are let down by a half-hearted production that does little to drill down into the drama of the piece. As mentioned, Artaserse is an undeniably static work packed with da capo arias, something that the director must find a way to best animate in an organic way. In this case it’s the job of company regular Chas Rader-Shieber, and he’s taken a disconcertingly hands-off approach. There are directors who know how to make even the most inert singers look convincing onstage, but Rader-Shieber doesn’t seem to be this admittedly rare sort. The abiding impression is that too little time has been spent with the cast on character and stagecraft, meaning most of them default to stock operatic gestures – people burst through doors, collapse into chairs, and pound on walls instead of moving with dramatic purpose. On opening night, some of the cast looked ill at ease onstage, casting a pall over the first two acts and preventing real investment in character or story. A firmer directorial hand would have been of immeasurable benefit. The action takes place on Charles Davis’ handsome single set, with his costuming and overall aesthetic drawing on Edwardian glamour. It’s a clever little reminder that although at opera’s end the kingdom’s stability may be restored, the very notions of empire and divine right will become increasingly scrutinised and attacked. While obviously working within the restrictions of City Recital Hall’s modest stage, Davis’ palace sitting room is also effective at suggesting how limited court life is, particularly for the women who more often than not take turns sitting and suffering on the same gilt chair. A tip of the hat also to Ross Graham’s beautiful lighting. Less effective is how Rader-Shieber uses the space, with characters sometimes disappearing stage left with guards following at a mystifyingly slow pace, only to return once a fellow singer has dispatched their last top note. A fallen and then restored chandelier – awfully reminiscent of Phantom of the Opera – is unsubtle and then some, while at one point a character attempts to bar a door by stacking chairs against it in a completely illogical fashion. Most frustrating of all how is often Artabano and Megabise, both soldiers, sit down in front of royalty, completely uninvited. In a piece that’s driven by individuals’ hunger for power and awareness of class difference, the production’s wilful freedom with the details, crucial ones in this case, are confounding. Thankfully, there are bountiful compensations, with top honours going to Vivica Genaux. The mezzo has long been a champion of Hasse, so it’s little surprise that she’s basically nonpareil in this challenging repertoire. 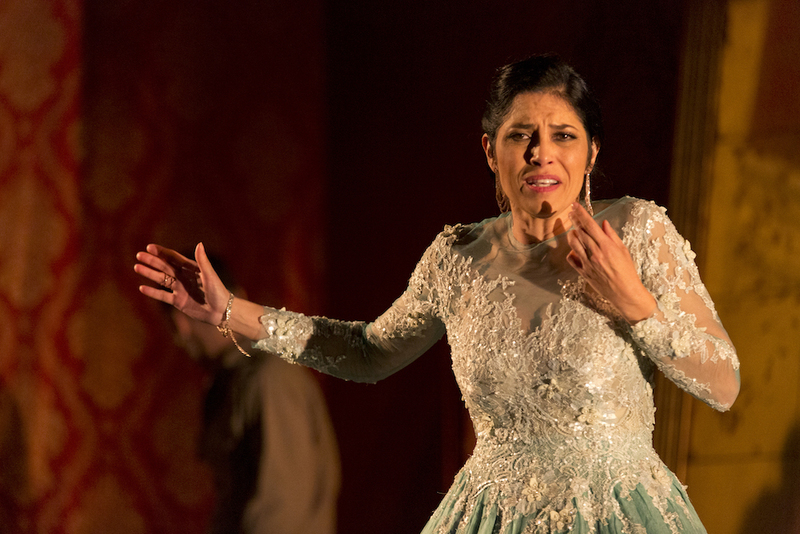 While she wasn’t entirely free of some generalised acting on opening, Genaux’s understanding of her character Mandane, as well as the nuances of each aria and interaction, were obvious and always compelling. It’s a lovely instrument with an appealingly dusky quality to it, and she navigates the florid passagework with enviable ease and musicality. Her big aria, Va’ tra le selve ircane, was sung with supreme authority, a veritable monologue of rage and disgust, while she conveyed all of Mandane’s conflict in Che pena al mio core. One sits up straight when Genaux walks onstage. Though perhaps not as seasoned, Australian tenor Andrew Goodwin made a particularly favourable impression as Artaserse. Comfortable onstage, he imbued each gesture with an intelligent dramatic impulse, making what can be a rather one-dimensional character not only admirable but interesting. Like Genaux, he sang with musicality and careful attention to text. Similarly engaging was Italian countertenor Carlo Vistoli’s Artabano, his nastiness finely calibrated and his incisive way with recitative very welcome indeed. His soliloquy of remorse, Pallide il sole, was beautifully charted and a highlight of the evening. As the wronged hero of the piece, Arbace is here sung by leading Australian countertenor David Hansen. Though not as dramatically attuned as those already mentioned, his capacity for the eye-wateringly virtuosic is without doubt and there’s a lovely sweetness to his agile instrument. His account of the aria preceding his return to prison, Per questo dolce amplesso, needs a touch more pathos but is tastefully phrased, while the ornaments of Fra cento affani have to be heard to be believed. Parto qual pastorello is also a knockout, and he moves between head and chest voice like a flash. As Megabise, Australian countertenor Russell Harcourt is directed to be not much more than faintly creepy. You don’t really buy him as Artabano’s enforcer, nor a particularly frightening future husband for Semira. Instead, he’s just a bit of a nuisance that pops up now and again to utter something odious, which has the unfortunate effect of completely lowering the dramatic stakes of Semira’s already slender trajectory. 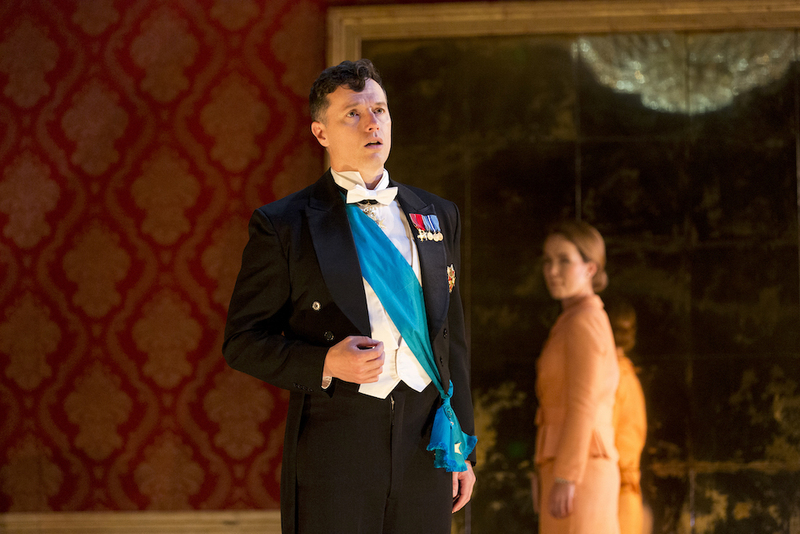 Happily, Harcourt’s singing is infused with purpose even when the stage business he’s been tasked with is not – there’s an awful lot of finger clicking at guards going on – and he does justice to his three arias. 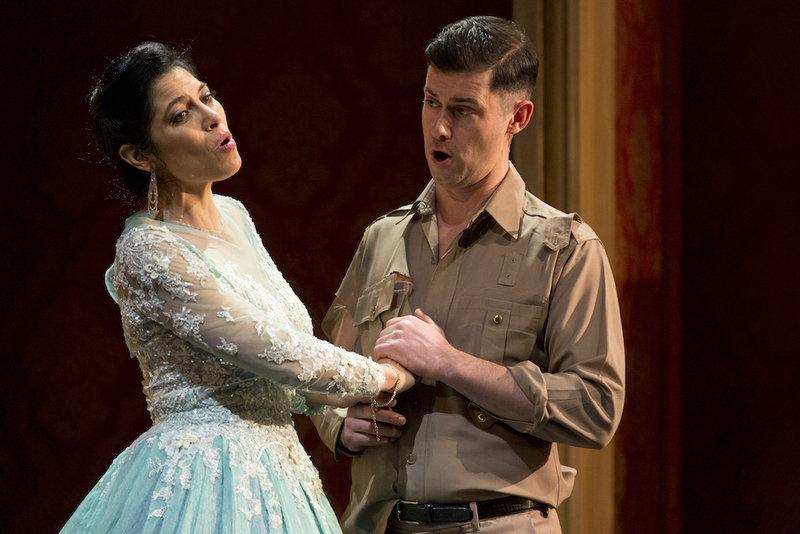 Australian mezzo Emily Edmonds’ Semira suffers the most from Rader-Shieber’s lack of attention. An ill-defined character anyway, she’s even more lightly sketched here and Edmonds seemed palpably uncertain onstage. However, her performance grew in stature over the evening and her sound has a lovely bloom to it. Conducting from the harpsichord, Erin Helyard drew extraordinarily limpid sounds from the orchestra, shaping the music with a firm handle on dramatic ebb and flow. The strings of the Orchestra of the Antipodes are as ever richly dark and detailed, with baroque horns supremely characterful. Helyard demonstrates his keen awareness to texture throughout, and his rapport with the band is consummate. So, an uneven night but one worth catching anyway.